These days electronics products come and go and it's quite rare if a product manages to stay on the market for more than a couple of years. 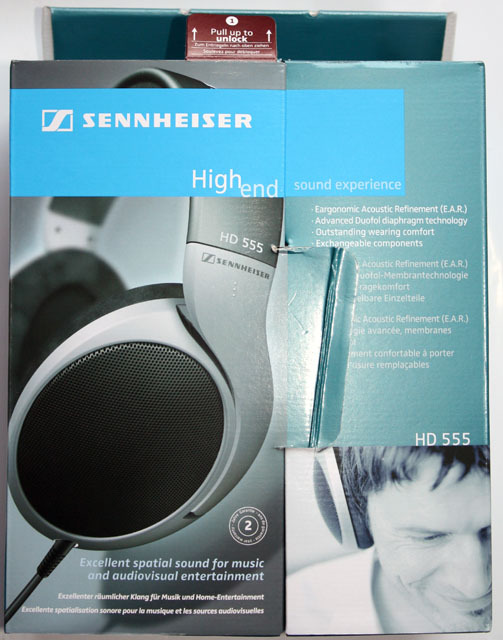 The subject of this short review is the Sennheiser HD 555, these headphones have been on the market since 2004 and are still selling strong. 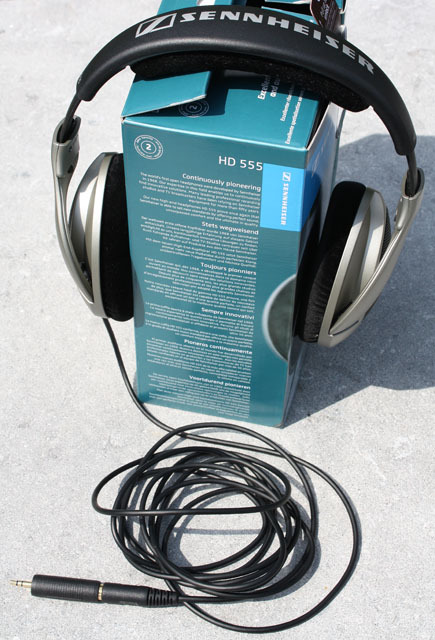 The HD 555 is an open, circumaural stereo headphone that was originally designed as a cheaper version of the Sennheiser HD 595. I bought mine in 2010 for around 85EUR. 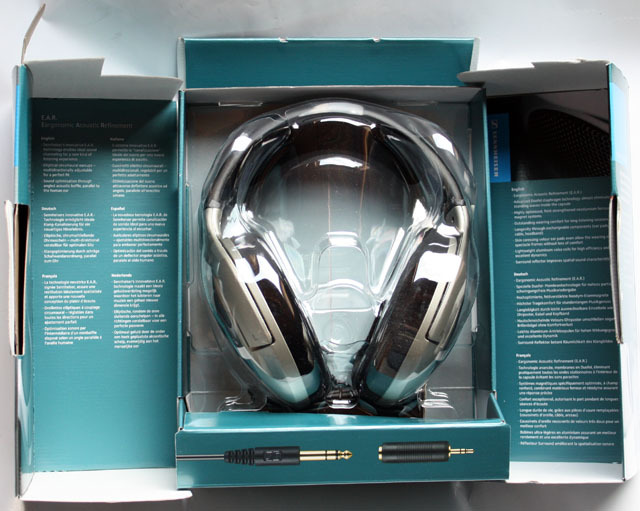 The headset arrives in a large cardboard box that slides open to reveal the headphones. 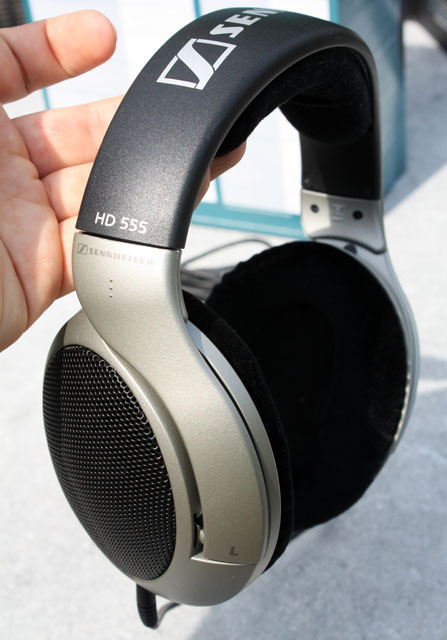 The HD 555 is a full-size headphone, it has an open, circumaural design and has a black/silver grey color scheme. 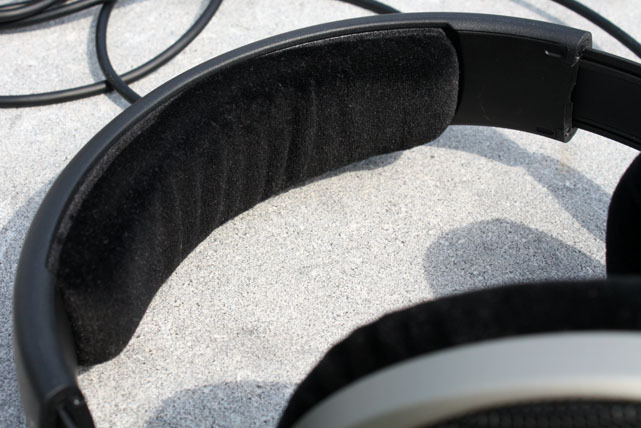 Circumaural means that the earpads surround the ear and open refers to the fact that the back of the cups is open, which means (some) sound will leak out. The included cable is 3 meters long, a good cable length for studio work but way too long if you plan on using the headphone for your computer/laptop. The headphone has a clean, professional look. The headband size is fully adjustable. And the velvet cushioning provides great comfort, even after many hours. 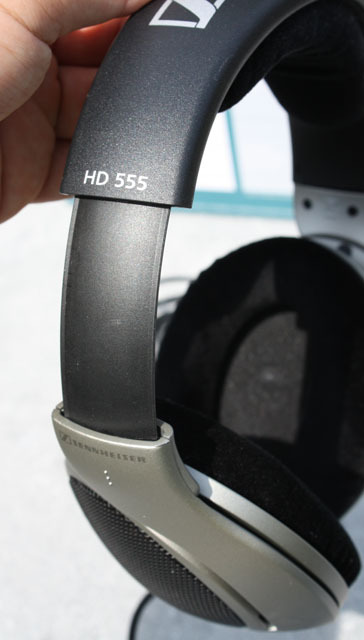 A major con for me is that the HD 555 uses a 6.3mm stereo jack. Sennheiser includes a 3.5mm adapter so you can use it with computers and MP3 players, but I think it would be better the other way around. The 6.3mm to 3.5mm conversion makes the connector very long, it acts as a large lever that can put a lot of stress on the headphone port of your laptop or MP3 player.